Spreading hate speech just isn’t as easy as it used to be as a Missouri chapter of the Ku Klux Klan found out when, after threatening Ferguson protesters with violence, its website was knocked offline. For that the Klan can thank the Anonymous hacking collective, which also took control of the KKK’s social media presence and claimed to leak personal information about members of the white supremacist group. The hack, which began late Sunday and ran into Monday, comes as the latest sign of heightened tension in Ferguson, Missouri, where a grand jury is expected to announce this week whether Officer Darren Wilson will be indicted for fatally shooting Mike Brown, an unarmed 18-year-old African-American. Yet the KKK's attempt to publicly involve itself in the case highlights how social media -- so adept at spreading some messages -- is a double-edged sword for hate groups. While the Internet can give anyone -- including ISIS and the KKK -- a megaphone, it can also mark them as targets. And as they broadcast information the rest of the world finds abhorrent, they're finding more voice results in less influence. The KKK, which during the civil rights movement had a membership estimated at a half-million under a single unifying banner, has dwindled into an array of bickering tribes with a combined total of no more than about 5,000 followers. Increased connectivity has failed to deliver for Klansmen, who have traditionally believed that, if it wasn’t for liberal newspaper editors who stifled the KKK’s message, the wider population would flock to the white supremacy cause. Still, the Anonymous hacking collective was angry enough with the Traditionalist American Knights of the KKK’s letter threatening “lethal force” against Ferguson protesters to un-hood alleged members of the group, posting names, addresses and phone numbers online while also knocking multiple sites offline and taking control of the @KuKluxKlanUSA Twitter feed. 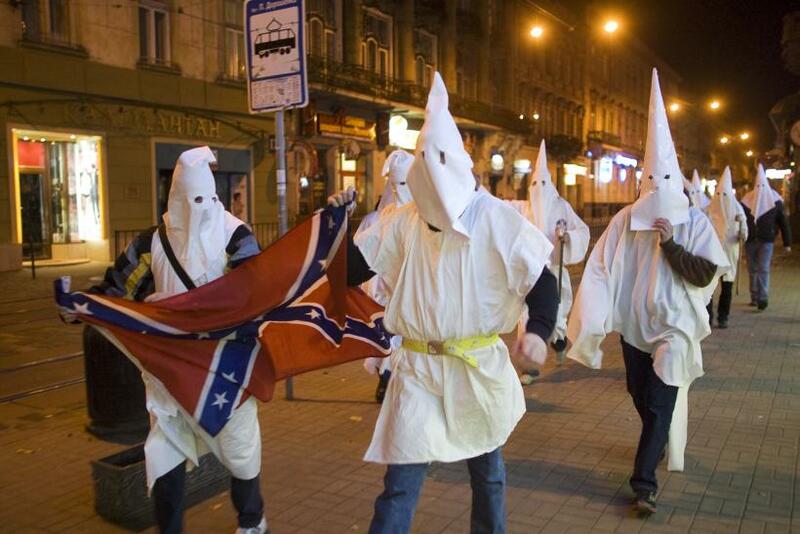 None of the names Anonymous leaked could be independently verified as members of Missouri’s Traditionalist American Knights of the KKK, though Potok said the very threat of being publicly identified as a member of the far right group could be enough for potential members to shy away. That mentality stands in stark contrast to the Klan of two generations ago when members could guarantee that their identity would remain a secret by simply donning a white hood.